The 2008 General Election is approaching. How should we Catholics be involved in the political and social questions facing our country? How do we respond in a pluralistic society and in the complex world of international relations? Small can be beautiful for each of us in election year: we are each a small voice, but can be an important one if we prepare well. 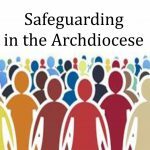 The forthcoming Communio adult education series on Catholic social teaching presented by Sister Catherine Jones will help us to focus on what the church teaches about our involvement in public life. This is only one aspect of an integrated social doctrine which has as its basis the sanctity of life and the dignity of the human being, but it is crucial in this place at this time. 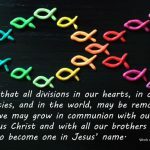 The church does not tell anyone how to vote or which party to support, but offers us guidelines to help our faith and Christ’s values shape our reflection on the issues we face. ‘Catholic social teaching in one hand, newspaper in the other’, is the approach for the two evenings in an interactive, group-centred process. 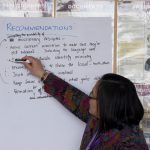 The learning will be informed by a more formal presentation of the basic principles of the church’s social teaching in an historical perspective, including the 1996 New Zealand Catholic Bishops’ statement, ‘Become an informed voter’. Thursdays May 15 and 29, Ss Peter and Paul parish hall, Lower Hutt 7pm.